At first glance this was an obvious opener. ‘The Wizard’ had a mixed set of players – two black, two white, one from a Jewish background – a diverse, All American camp who had to become a team. But these words arrived from experience. This was October 1963 and he had been head coach of the UCLA Bruins basketball programme since 1948. His self-development was in full flow and it was time for moderate success to grow. Certain barriers existed. ‘The Wizard’ lacked magical facilities. A leggy three flights of stairs to a small and squalid gym was hardly inspiring. The practice area itself was more gymnastics than basketball with chalk from the pommel horse having to be mopped up or brushed aside before training. But ‘The Wizard’, also known as Coach John Wooden, was too engrossed to notice the neglected provisions. He had a team to shape, to mould, and to introduce to excellence. As a set of individuals they weren’t fancied. None of them were over 6 foot 5 inches – short in a game of height. But, as it turns out, the opening practice session scheduled in October 1963 saw him take a first glance at what was to be his ‘Potential Team’ – the set of players who would come as close to reaching their maximum ability as they possibly could. It proved an emphatic year. Five times during the season his team scored more than 100 points. Only four times did the opposition stay within 5 of them. They went undefeated and won the first NCAA Championship under Coach Wooden’s tenure. This was the first of many (ten in total between 1964 and 1975), but it was the first that was the sweetest for him – sweet because ‘Wizard’ John Wooden grew this team’s potential out of his own growth. Even he would have admitted that the man voted as the greatest American sports coach of all time wasn’t born that way. He didn’t arrive into this world as a leader of sport. It was self-learning that made him the teacher he became. It was the adversity he endured in the early years that helped him design a robust coaching system that eventually led his teams to greatness. It was a commitment to improve his communication that helped him engage those who were over 30 years his junior. It was his insistence on excellence that honed a creative mindset. It was John Wooden’s devotion to self development as a coach that eventually won him Championships, plaudits, and a place in the coaching Hall of Fame. Your culture of creativity starts with your dedication to knowing it all. You’ll never get there – but those coaches who make the furthest journeys will be the best, most creative coaches they can be. It’s a passage the greatest teachers take – a rocky road, a bumpy ride, but one you must take to get the very best from your players. As you progress on this voyage, your ability to think of new strategies to help your players use the talent they have will blossom. To me creativity is mediated by knowledge. Without knowledge you cannot create. Initially Coach Wooden was cautious about transformation. I think most people are – change is the enemy of comfort. It exacts a full look at your inadequacies. Wooden trusted his way. He was stubborn. But as Championship success eluded his beloved Bruins he steadily became more and more open to change. He took some radical steps – he attended psychology classes on campus to improve his inter- and intra-personal skills. He decided to avoid assistants who could be perceived as ‘yes-men’ – he wanted a loyal but challenging voice close by. He occasionally risked conflict with his players just so he could learn from the experience, and he would invite other coaches to scout his games and listen with an open mind to their comments and corrections. He spent quite a few years outside the comfort zone of his original coaching philosophies. It matters little who you are, where you are, where you coach or who you coach. If you want to develop a culture of creativity in your club, with your team, in your soccer organisation, or at the soccer academy you work at – you need to have knowledge beyond the fundamentals. You need to beg for information and borrow information. You need to observe others, then expand your systems, develop new ideas, induct them into your current processes and execute when appropriate. You then need to analyse assess and evaluate what works and what doesn’t. And you need to keep this course of action going for the remainder of your coaching days. Stepping beyond the ordinary drives the extraordinary in any domain. If Coach Wooden was a soccer coach starting out in today’s coaching climate I doubt he would simply strive to pass his coaching licences, then sit back and enjoy the qualifications that adorn his office wall. On the contrary, I think he would attempt to drive his future by continually cutting into new information and shaping an ever expanding tree of knowledge. Similarly, Coach Wooden wouldn’t only borrow from the past. He didn’t fashion one of the most emphatic and ‘winningest’ records in all of American sport by pining and yearning for the coaching methodologies of yesteryear. No doubt Wooden respected the philosophies, techniques and plays from his own time as a player, and no doubt he utilised most of them in his day to day teaching. But he also had a method of continuous improvement through research and practice. Qualifications, licensing and certification are the entry doors you open as you step into a maze of corridors and hallways. They are not your finishing point. The UEFA A course, the UEFA Professional Licence (currently the highest coaching award in world football) and their global equivalents are your admission gates to an education as a soccer coach. Modern day football demands life-long learning. The soccer coach is no longer a baby sitter or a drill instructor. The game challenges coaches to keep up with contemporary methodologies, sport science and talent development. I love the fact that Jose Mourinho has a degree in sport science! He has shaped some of the coaching concepts he currently uses at Spanish giants Real Madrid from the modules he studied at University. I love the fact that current Nottingham Forest manager Billy Davies has a video analysis studio built into his home in Scotland! It’s his games room – his version of a child’s dream space. I love the fact that Sam Allardyce, manager of West Ham in the 2012/13 season has a lifelong commitment to sport science! Everywhere Sam has coached he has utilised a sport psychologist to help improve his team’s chances of winning. I love the coaches who dedicate themselves to leaving no stone left unturned in order to develop themselves and cultivate a creative culture at their club. Never limit yourself. The coaches I’ve mentioned above don’t. John Wooden never did. The paper that documents your qualification is not your coaching process nor is it your coaching mind. It is not your coaching life. Learning is imperative – not just from the coaches of the past but also from cutting edge research. What is coaching impossible today will become coaching possible tomorrow. Let’s look a little closer at the ‘so called impossible’. Allow your mind to rest on what you may perceive as the impossible within your role as a coach. Start to make a permanent internal sketch of this play. The scene should involve the impossible for you and for your players. Make it unrealistic – a flight of fantasy. Perhaps the inner representations of this outer world features a confident, dominant and bold depiction of you standing in the technical area in the Nou Camp, Barcelona (an unlikely scenario for 99% of coaches but who cares, we’re interested in the process of getting there – whether we do or don’t). Alternatively, perhaps the highlight reel you have envisioned centres on a scene of local players competing with fun and freedom – your instruction sparse but pertinent, your voice loud and encouraging. Whatever the inner map you have for yourself, as a coach, a central thesis of this book is to drive you to be the best you can be, and the exploration of the impossible is a part of that process – for you and your players. I use the word impossible without embarrassment. To explore how good you can help your players become entails a look at the unlikely. There can be no limitation, restraint or constraint. For them to be their very best you must be your very best. I’d like you to take some time to examine the picture you hold in your mind of the impossible. Make that picture big and bold and bright. Where are you in this image and what are you doing? How are you holding yourself? What are you saying? How do others see you? What areas of expertise do you have? Take a pen and paper and list those areas now. Try to cover the whole page with topics – some obviously related to your field of coaching, others that might appear less relevant at first. Stretch your mind. This is your chance to note down your coaching future and the components that will create that future. My coaching future lies in working with Under 12 – Under 14 soccer players. I want to excel at this. What does this look like? I care about them all. I take time every training session to help them individually as much as I can. I make sure I have notes on each individual at every training session – I want my communication to be as personal as is possible in group practice. I am loud and clear in my instruction but I will know when to keep quiet. I will get as perfect as I can at balancing instruction and questioning. I want to develop self-learners. I will be enthusiastic and passionate at all times – even after a poor day in the office. If I want to create passionate learners I have to be passionate myself. This is a segment from a diary entry of a coach I work with. Success to him isn’t the dizzy heights of Barcelona. But his coaching future is an exciting one. He wants to become a specialist in preparing 12-14 year olds for adult football. He knows that not all of his players are going to be soccer legends. In fact he hopes that maybe one or two of his players will go on to kick a ball for money, but that’s not his primary motivation. He just wants to be the very best soccer coach he can be so he helps his young players be the very best they can be. He doesn’t want to be average. Avoid average. In the decade I’ve worked as a specialist in football psychology I’ve seen too many coaches who allow ‘average’ to intervene. They know how to put on a decent passing drill but they don’t know how to communicate in a manner conducive to building and maintaining team cohesion. They only know a few ways to teach a player how to increase awareness and how to exploit the space that is so often left wide open by a defence – they need to know more ways. Likewise, they know the art of setting a team’s shape but they don’t know the importance of reinforcement in the teaching process so they leave too much to chance. They place too much emphasis on the role the student has in the learning process. They blame the student for not taking the information onboard. This simply isn’t good enough. Coaching is important. You as a coach are important. You affect lives beyond your own. Dreams and aspirations are reliant on your ability to problem solve, to instruct complex material in a simple manner and to develop an atmosphere conducive to learning. Taking short cuts or being too lazy to learn a subject important to your pedagogical process inhibits your coaching impact. Being like John Wooden involves a move away from the norm. Creativity insists on novelty. Your coaching IQ increases when you open your mind to the impossible. Quite simply, within the unattainable lies clues to your coaching potential, and the capability of your players. Every coaching session is an opportunity to improve your players. Every minute of every hour in your coaching session provides a platform for you to impart knowledge, monitor progress, expose flaws, develop a blueprint of success and build momentum going into games. A lazy training session stifles ability. It smothers development and generates a shift away from excellence. A lazy coaching session destroys dreams. Coaching should never be ‘business as usual.’ It never was for Coach Wooden. Every Wooden practice session was planned in detail to the minute. From the first whistle to the last Coach Wooden insisted on his players’ best – he questioned, he queried, he told, he asked – all with the gaze and intensity of a master teacher. He knew that success was built over time – piece by piece. 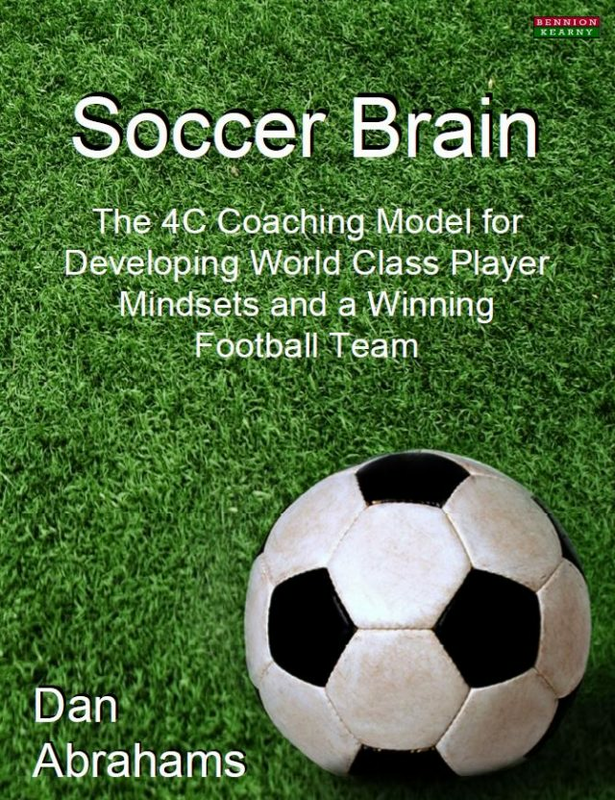 I was never a footballer, but as a former professional sportsman, and professional golf coach, combined with qualifications in psychology and sport science, I’ve found it quite straightforward to pick up soccer from a coaching perspective – mentally, tactically and technically. One of the disciplines that individual sports demand is the ability to break a student’s game down into different components. In golf a coach is required to collapse a swing into separate mechanics – you examine the grip, stance, posture, ball position, take away, shoulder-turn, swing plane, wrist hinge, club face alignment, body weight shift, and so on. And then you break the game down further – long game, short game, putting, strategy, and mindset to name a few. My education as a sports coach was in golf and I believe that soccer coaches would do well to copy the microscopic approach golf coaches take towards breaking a game down and building it piece by piece. A soccer coach who has techniques, philosophies and options for the minute details of the game will help his or her players develop more quickly, and win more games. What should a soccer player focus on when trying to score in order to produce optimal power and direction? Should it be the ball or should it be a specific target? Or perhaps the focus should be on an element of technique such as keeping her head over the ball? Maybe it’s different for different players? For example, I worked with an English League 2 player who was on a barren run of scoring. When I asked him what he focused on as he struck the ball the player said that he tried to steer the ball into the corners of the goal. On further enquiry he was doing this because a coach had instructed him to do so – a few years previously. As we spoke it became obvious that this was partly where his problems stemmed from. When he was a free scoring teenager he instinctively knew where the goal was – that was the easy part. At that time his focus was on the strike of the ball. He would simply exert his energy on getting a great strike on the ball and let the outcome take care of itself. The coach who came along and changed his focus had done so to the detriment of his game – his shots now lacked power and authority, and he had little confidence in, and around, the penalty box. Part of the process of improvement we worked on was for this player to get back to focusing on a great strike of the ball. He had to trust his instincts again. He knew where the goal was – that was never going to move. He had to strike the ball and let the result take care of itself. I tell this story because I think every part of the game is coachable from shooting to tackling to physicality to mental toughness to body shape to visual awareness. And for you to be the very best coach that you can be – breaking the game down into its different components and starting to build a library of resources in relation to each area is essential. Studying the minutiae of the game is a must if you want to be the best you can be. With this in mind let me present you with a learning challenge. Can you become the most knowledgeable coach in the world about a particular area of the game? It might be tactical, for example knowing more than anyone about playing a 442 formation. If this is your goal you might go searching for every resource dedicated to this aspect of the game. You might strive to observe great coaches who swear by its tactical potency. You might write an article on its advantages and disadvantages and offer up strategies to deal with its shortcomings. You might find someone who hates the 442 system and look to debate its merits and its failings. Alternatively, why not try becoming a world authority on teaching players how to pass with progression? This sounds simple doesn’t it but in practice it’s tough. There are a wide range of skills and knowledge pathways involved in this process. You have to be a great teacher of skill development. You have to know how to instruct players to receive a pass correctly – to be able to deaden the ball as it impacts the foot (but not so much that it gets tangled up); to collect the ball with the right body shape to be able to turn out and deliver a pass with accuracy; to strike the ball cleanly at the appropriate trajectory. From a knowledge perspective you have to know when your players should work the ball forward, and you have to be able to instruct where – does the ball go into the channels or down the middle? What should the player be seeing to decide? What do the best passers see? What do they focus on? Do these players have anything in common? What do the best coaches do to help players become the best forward thinking passers? What drills do these coaches use to help this particular skill? How do they communicate the process to their players? There are whole rafts of research questions to pose on every given topic in football. The competent coach resolves to search endlessly for answers. And resolution isn’t always found within the soccer literature. A coach should broaden her horizons if she wants to swell her knowledge base. To serve your players as a creative coach requires you to keep a watchful eye on theories, best practices and ideas from not only other sports, but from other disciplines in life. Personally, I find some of my most creative moments come from when I’ve spoken with a sports coach or participant outside of the soccer environment, or when I’ve read a book from the business world. The brain has an amazing capacity to forge links between two ordinarily unrelated disciplines. There really is no limit to how good you can be as a coach if you open your mind to exploring other branches of learning and other fields of speciality. As a coach of football your education shouldn’t just revolve around football. This may sound weird or peculiar – but be assured – very few coaching breakthroughs are made when study is limited in scope. You are just as well served learning about learning, about effective forms of feedback and about the art of communication as you are about systems and formations. Novel stimuli spark the creative brain. Instead of picking up biographies that chart the life of your soccer heroes delve into books that chronicle the lives of those who have served under pressure, who have led teams in adversity, and who have made breakthroughs in the arts and sciences. It is this attitude towards learning and knowledge – one of abundance, that allows the brain to establish a relationship, to correlate and to vibrate unconsciously and which will eventually spill ideas into conscious awareness. This chapter is based around a central tenet of Coach John Wooden’s lifetime as a coach – of basketball. His commitment to growth should be studied and modelled in the modern world of soccer. It matters little that his technical teachings lie in and revolve around a bigger ball that was bounced and was passed between hands rather than feet. It matters little that his terminologies were different, or his players were of a different physicality to a footballer. What matters is that he went about the art and science of coaching with deliberate practice and deliberate intention and his methodologies can be copied the world over to create better, stronger soccer players. Wooden’s leadership mirrors that of the greatest politicians, business people and philanthropists. They all have something to contribute to your development and your processes as a coach. As do your players. The biggest critics are those who are closest to you. They are at every training session, at every game, and they think about your coaching a lot. They are the people who either make your ideas work or damage the template you coach from. They are your players and they can offer you the greatest feedback. They can contribute to the plays you choose to move with, the style in which you coach and breadth of your encyclopaedia of coaching processes. They influence the system you choose to employ season after season. Use them. Avoid the presence of muted players because you then end up with mutineers. Players who have no outlet for their voice or opinion end up rebelling. Give your players a questionnaire about your coaching practices. Tell them that it’s completely confidential and a tool for you to learn from and to develop your program. With this in mind it’s as much for them as it is for you – they will benefit from the insights uncovered. Ask them for honesty. You don’t want personal agendas but you do want personal opinions. Provide sufficient space for explanation. If a player feels passionate that something in your training sessions isn’t right they should have the opportunity to expand. If you are going to act on a suggestion you need sufficient evidence that change is required. Strengths must be included as well as weaknesses. Any player who fails to write about their favourite part of your programme has a questionnaire that is null and void. This silently forces them to examine the strengths of your programme and helps you monitor what really works for your players. Include questions that cover all of the components that underpin your programmes. At the very least there should be enquiry into the technical, tactical, physical and mental segments of your curriculum. A confidential audit administered is not a sign of weakness. It’s an indication of coaching confidence. It sends the message that you are prepared to accept that you value the opinion of your players. It demonstrates that you understand that improvement is often hidden from a coach’s view. You need that 360 degree feedback. Coaching success is laboured without it. I pride myself with being slightly sceptical. Perhaps it’s the education in psychology (a social science that tests hypotheses and demands evidence to back up its claims) that has constructed my critical mindset. I believe scepticism in a coaching role is an important quality. Believing everything that turns up on your doorstep leads to faddish coaching philosophies. Develop a robust system that can change according to the different challenges that you face, and look far and wide for new ideas to enhance your coaching structure and culture – but do so with a sceptical eye. Something new must complement and augment your existing practices or advance your system considerably for it to deserve entry into your methodology. Scepticism is not the same as cynicism. To be cynical is to dismiss without the courtesy of evidence, experience or argument. The coach with a cynical mind deceives herself. She will miss out on ideas, forums and platforms that could take her to the next coaching level. Reject without investigation at your peril – you’ll end up never knowing how good you could’ve been. I receive a lot of cynicism in my career. I’ve been told that sport psychology doesn’t work in soccer and is only applicable to individual sports. I’ve been declined meetings with ‘the powers that be’ because I don’t have a first class playing career on my CV. At first such rejection bothered me, but not now. If someone refuses to offer me a stage to sell my wares I move along in the knowledge that they’ve missed a perfect chance to find some common ground or explore at the very least a small window of opportunity. Sceptics provide a platform, listen and ask the right questions. Cynics reject – they don’t hear. Hey they don’t even listen. Avoid this mindset at all costs. We live in an amazing world where information is free flowing daily. Everybody has something to learn from somebody. There are countless coaches on your doorstep for you to enquire about best coaching practices. A local coach may not have your pedigree but I can guarantee they will have some tool or technique, some story or example that you can learn from. The Spanish manager can learn from the manager of Haiti, while the manager of Manchester United can learn from the manager of a grassroots club. Ignoring those whose station in football is below yours checks your trajectory as a coach. My passion is for you the coach to be passionate about learning. Unshackle your mind and enjoy the process of introducing processes – both old and new – into your ever evolving system. Generate new ideas. Be bold with your creativity. Try the novel in training and take to match day when appropriate. Success in coaching is a product of bravery. Creativity is crucial especially in a coaching capacity. Your job is to get the very most from the talent you have. The creative coach is such because she takes a different view of talent. And it is this different view I want to explore now.